The 2018 Mid-South Cotton Defoliation Guide is now available online. The guide was compiled by Extension specialists from throughout the Mid-South and is updated yearly. “Cotton defoliation applications started this past week and will likely continue for the next 4 to 6 weeks,” says Darrin Dodds, Mississippi State Extension cotton specialist. 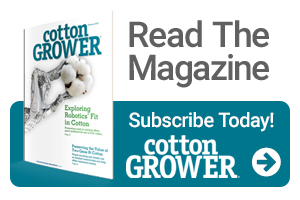 “Given the likelihood of changing environmental conditions over this time period, as well as the fickle nature of cotton harvest aids in general, a continually-evolving strategy to remove leaves and open bolls will be necessary.